If you or a loved one has been charged with carjacking you are in serious legal trouble. Public outcry over carjacking crimes puts significant political pressure on prosecutors and the courts to prosecute those charged with carjacking with unbridled severity. Often the news of a Southern California car chases which often start out with or sometimes involves one or more carjackings, gets local and national news media coverage heightening the general perception of the ruthlessness of the act. Charged with Carjacking in Southern California? Carjacking is defined as forcibly taking the vehicle of an innocent person, it can be for any length of time. 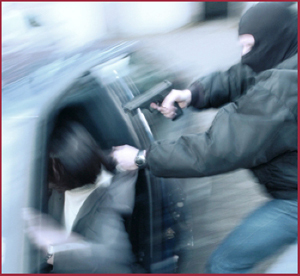 Carjacking charges are sometimes erroneously brought about; sometimes the result of a domestic dispute or some disagreement with a car test drive or car sale by a private party or at a dealership. No matter how the charges came about, you will need the help of a Southern California criminal defense attorney to review your case and develop a defense plan to begin to deploy on your behalf against a ofttimes overzealous prosecutor. A carjacking charge, depending on the circumstances, can carry a serious penalty. It is vital that you do not underestimate what you are up against. You will need skilled criminal attorney who will aggressively fight for your rights as law enforcement officials will be working to convict you. Southern California Criminal Defense Attorney Vincent W. Davis has 26-years of PERSONAL experience and 60-years combined experience to make sure that you can even up the odds against the overwhelming power of the state. Mr. Davis has the experience, the respect of the prosecutors and courts, and the nuts & bolts know-how to carry out any needed investigation into police procedure, and to secure expert witnesses, etc. to put together a powerful defense that will ensure you the best possible outcome. When you are charged with a theft or robbery crime such as carjacking, it is imperative that you seek out and hire legal counsel prior to answering any questions from the law enforcement officials or investigators working the case. By getting legal representation early, it might be possible to smooth things over with the police and DA such that charges will never even be filed. This is often the case if you hire a well-know, well-respected lawyer who the prosecutor would rather not have to go up against. Prosecutors have 100’s of cases. They want to WIN all the cases that they file. If a handful of cases have high-powered, well-known defense lawyers who are “known” for WINNING cases for their clients – why take a chance with those potentially troublesome cases? Might be better for the DA to keep their “win record” high and dismiss your case, or work out a deal with your defense attorney to reduce the charges to something “fair for all parties” that does not end up in a pointless battle that they could lose if they assign the case to an inexperienced staff attorney. It is always better to have legal representation early on so you have all possible opportunities to defend yourself behind the scenes or in court if necessary.